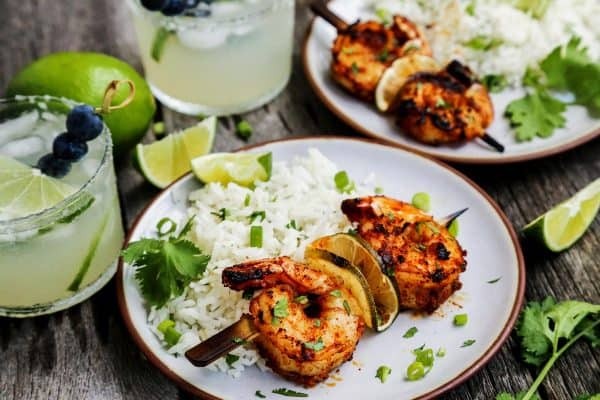 Grilled Margarita Shrimp Kebabs are loaded with flavor and charred to perfection. They promise to be the star of your summertime grilling! This post features two of my very favorite things in my summer backyard world. Flavorful grilled jumbo shrimp. And a cold, tart margarita (here’s my favorite traditional recipe), enjoyed with extra lime wedges in a glass rimmed with course salt. Blake and I have gotten the grilled shrimp method down to perfection, a project we started experimenting with a few years ago. And can I just say…I can never get enough! If you like shrimp, you’re gonna love this recipe for Grilled Margarita Shrimp Kebabs! *Here are a few more seafood grilling recipes I’m loving right now: Blake makes an awesome Sweet and Smoky Grilled Salmon. This Grilled Chipotle-Orange Salmon has also been a favorite around here, and it’s so pretty! Also check out these Grilled Lobster Tails with Sriracha Butter and my 5-Pepper Bloody Mary with Grilled Jalapeño Shrimp! This post is sponsored by Ferguson Bath, Kitchen & Lighting Gallery. Before we get to the recipe, let’s talk about grills. This Coyote grill has taken the place of the grill we bought when we first moved into our home back in 2004. When we bought that grill all those years ago, we had upped our game with a significantly better quality grill than we owned previously. And we’ve always been glad we made that decision. 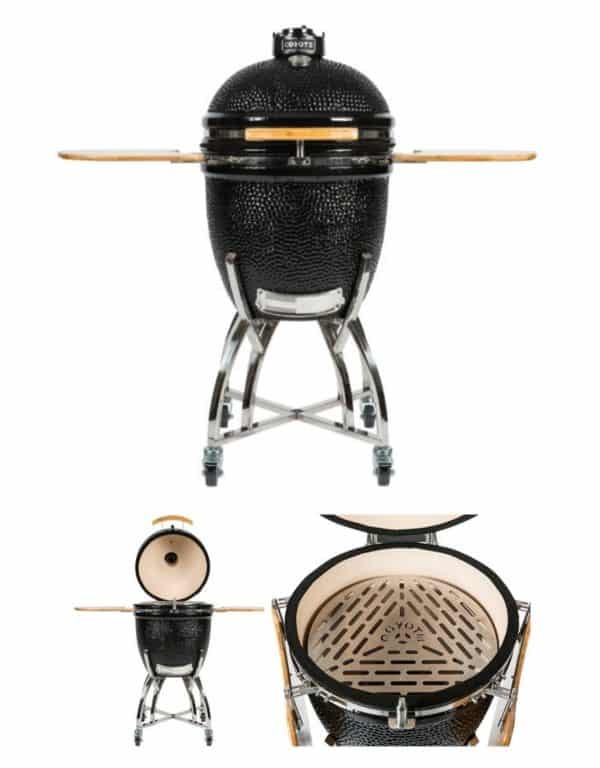 So when Ferguson Bath, Kitchen & Lighting Gallery asked if we’d like to review one of their Coyote Outdoor Living grills, we were all in. Our grill was now tired and worn out…and the Coyote grills looked awesome! Ferguson is a company we’ve visited and purchased from in the past for home remodeling projects, so we already knew we liked working with them. The grill pictured here in our back yard is a Coyote C-Series 34-Inch 3-Burner. It features durable premium stainless steel construction, 616 square inches of cooking area, and 60,000 BTUs of cooking power. To read more about this grill and some of its accessories, go to the end of this post. 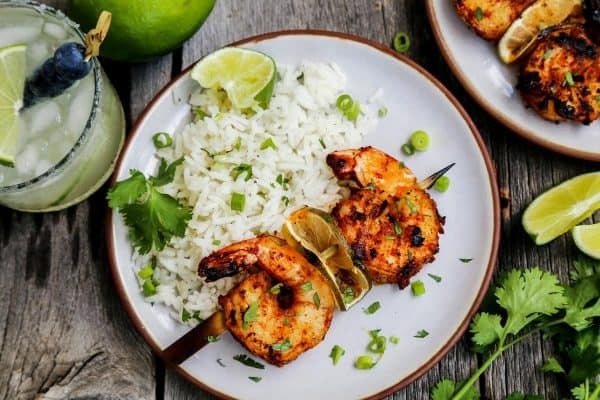 These grilled margarita shrimp kebabs are marinated in a simple-to-make sauce with flavors you’d find in most any Mexican dish. I included a splash of tequila for the margarita effect, but you can certainly leave it out if you prefer. This dish is great either way. Just beware that the alcohol in the tequila will cause a bit of an initial flare-up on the grill. I love how the saucy-ness of the marinade quickly cooks off from the grill’s heat, leaving drier bits of spices that cling to the shrimp. The little bits char so beautifully from the small amount of brown sugar that’s included in the marinade. 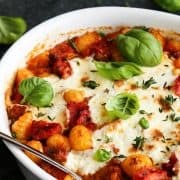 This adds wonderful texture and flavor. 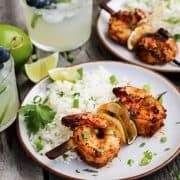 These 2-piece jumbo grilled margarita shrimp kebabs make for super fun appetizers or small plate meals. If you would rather serve larger kebabs for a main entreé, use longer skewers with more shrimp per kebab. Or simply grill the shrimp without the kebabs. For this method, I highly stress the importance of using large jumbo sized shrimp, so they don’t fall through the grill grates. Blake and I created this gorgeous pile of grilled margarita shrimp when we were visiting my sister’s family in Florida. My parents were also there, and treated all of us to fresh Florida seafood one evening. These jumbo shrimp came from Key West and they were AWESOME GOOD. Everyone at that meal agreed that serving this shrimp with fresh limes for squeezing over the top does in fact elevate the whole grilled margarita shrimp experience. 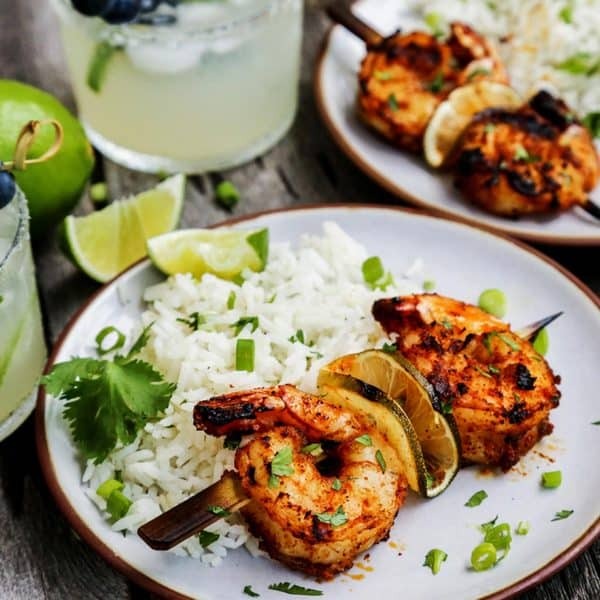 Grilled Margarita Shrimp calls for a margarita! Just don’t forget to mix up some margaritas. 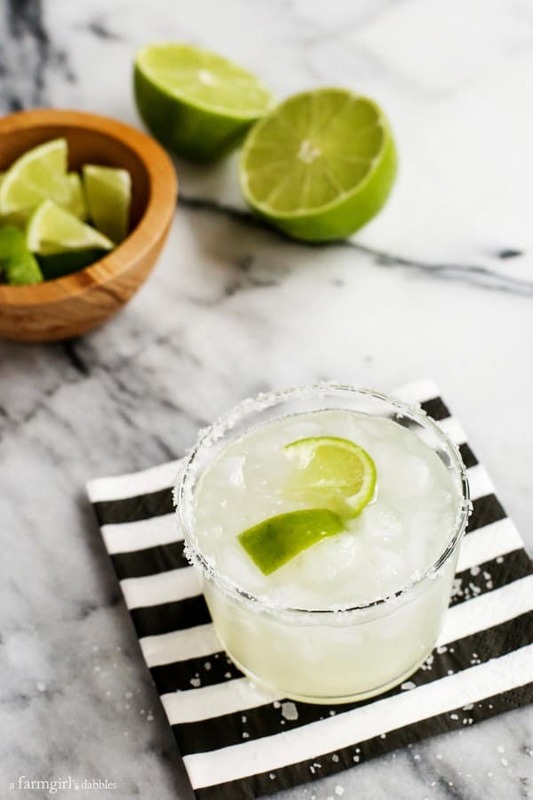 Here’s how I make them >>> my favorite Traditional Margarita recipe. This big-batch margarita recipe is also a favorite when we entertain. Jumbo shrimp are marinated in the flavors that you would find in most any Mexican dish. A splash of tequila is included for the margarita effect, but you can certainly leave it out if you prefer – the dish is great either way. Just beware that the alcohol in the tequila will cause a bit of an initial flare-up on the grill. Place shrimp in a wide shallow bowl and set aside. If using wooden skewers, start soaking them in water. In a small bowl with high sides, combine all ingredients from olive oil through black pepper. 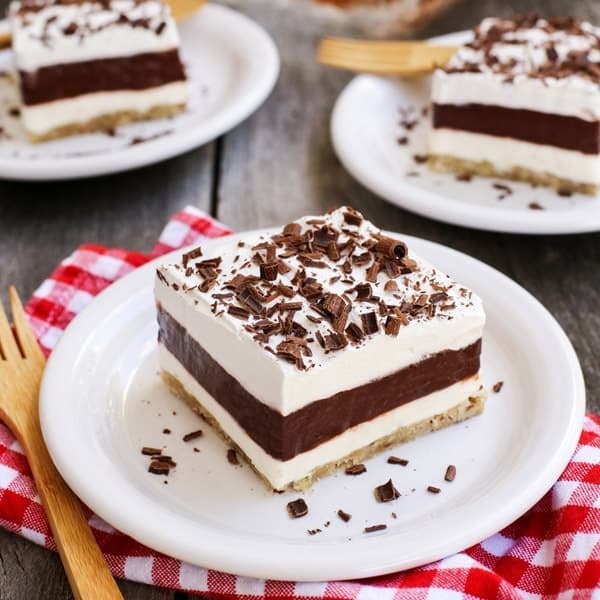 Use an immersion blender to completely process until there are no sizable pieces. 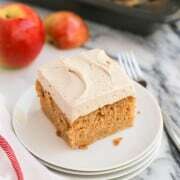 Or use a food processor or blender. Pour marinade over shrimp and gently stir to coat evenly. Cover and refrigerate for 2 to 3 hours. 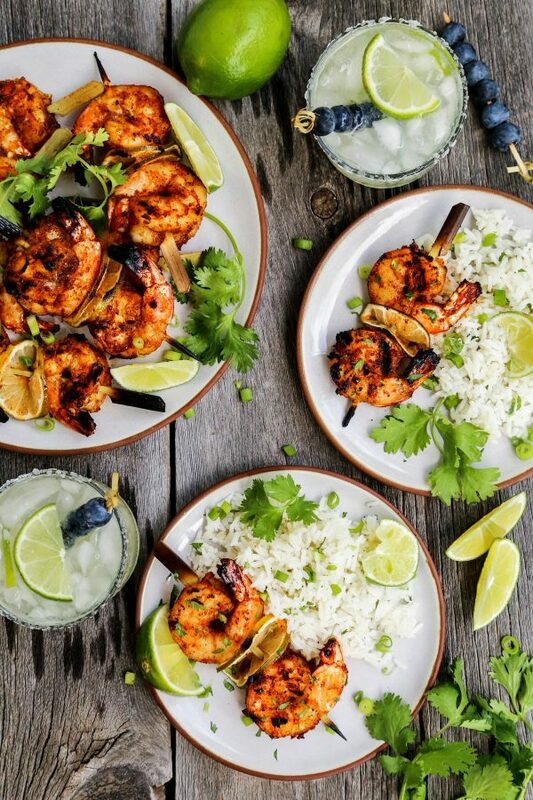 When ready to place shrimp on skewers, drizzle tequila over the shrimp and gently fold to combine. Then place two shrimp on each small skewer, with a folded slice of lime in between each shrimp. Heat grill to medium-high. Make sure grates are clean, and then oil them well. Set shrimp kebabs on grates and grill for 3 to 4 minutes per side, or just until shrimp are no longer opaque and have some nice char. Place kebabs on a platter and sprinkle with cilantro. 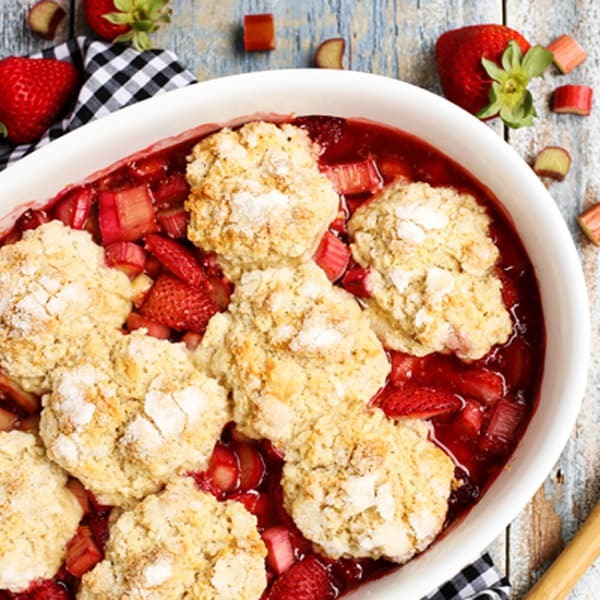 Serve with fresh lime wedges to squeeze over the top. 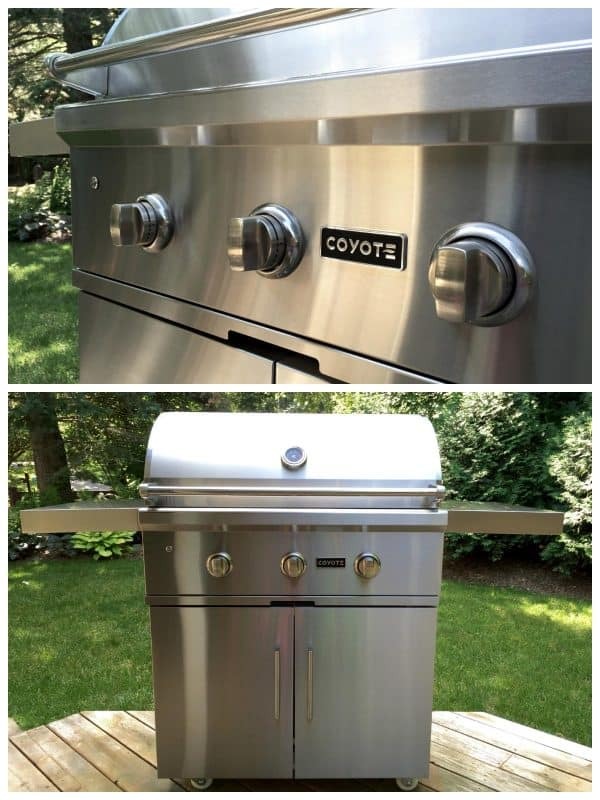 Here’s more on our Coyote grill! 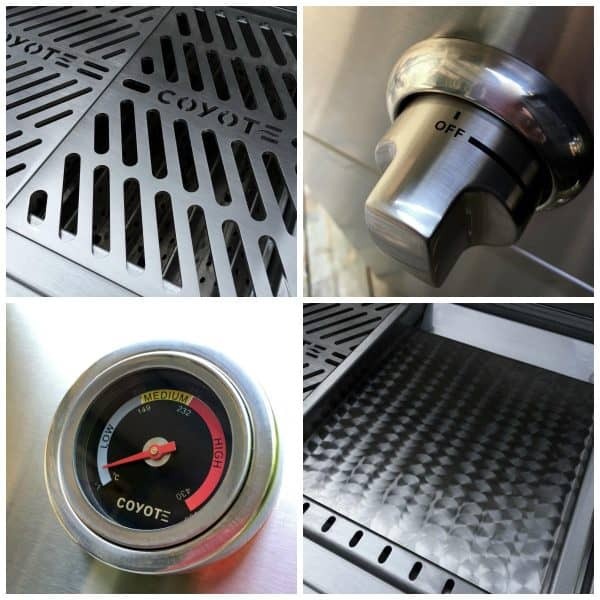 Everything about our Coyote grill is quality through and through. The grill canopy is double-walled. And I especially like the push-and-turn ignition knobs, used in the exact same way we ignite the gas stove in our kitchen, with no additional ignition button needed. There’s even an interior light for cooking into the night. Coyote also sent some accessories that we’re excited to try out. Their heavy-duty Signature Cooking Grates (upper left photo) are made from diamond laser-cut solid stainless steel and weigh almost 10 pounds per grate. Coyote offers three different styles, each one specifically designed for everything from sturdy cuts of meat to delicate vegetables and fish. And then there’s the beautiful heavy-duty Drop-In Griddle (lower right photo) that includes a removable grease trap for easy cleaning. I predict that weekend breakfasts of grilled bacon and eggs will be happening in our back yard very, very soon! Be sure to check out all the Coyote grill offerings at your nearest Ferguson Showroom, including this Coyote Asado Smoker. Find Ferguson Showroom on their website, Facebook, Twitter, Pinterest, Instagram, and Houzz. Find Coyote Outdoor Living on their website, Facebook, Twitter, and Pinterest. This post is sponsored by Ferguson Bath, Kitchen & Lighting Gallery. We received a Coyote grill for the purpose of our review and sharing of their Summer Grilling Promotion. All opinions are 100% my own. Thank you for supporting the brands that help make this site possible. Do you think this would still be good without the tequila? So, where is this grill made? If china, no thanks. The shrimp look delicious, though. I cannot begin to tell you how much I like these! Enjoy!! These look amazing! Your little skewers are the cutest too! it looks sooo good, i like shrimp with lemon!! My husband would have some serious grill envy seeing your shiny new grill! And those shrimp kebabs! Want them for dinner asap!! Ohhh my goodness! I have never heard of Coyote I am going to have to keep my eyes peeled for these grills. Those shrimp sound fantastic, I love margaritas and I love shrimp – this sounds like a perfect pairing. Yowza. Now that’s how you do grilled shrimp. Those skewers look simply delectable! I love that Coyote smoker, it’s a whiz!! And I need to give these shrimp a try! hey girl this looks so good! I love shrimp! 1. that grill is gorgeous 2. so are these shrimp! Marinating them before grill really adds some incredible flavor. WOW that shrimp looks spectacular. Ohhhhhhh!! 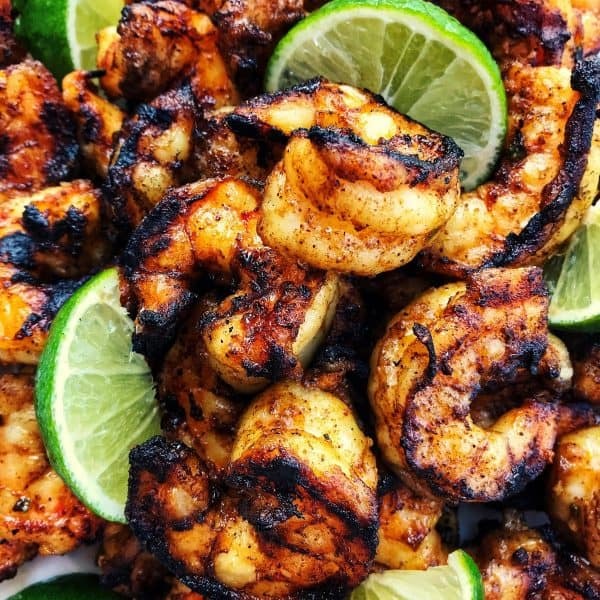 OK…that grill looks AH-mazing…and so does that shrimp! That margarita marinade is genius! I could eat this every day and be a very happy girl. grilled shrimp is always a winner in this house, we can’t get enough! 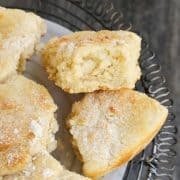 These sound absolutely delicious!! I love all the spices!! Kabobs are perfect summer time grilling food!! Those look so good, love the flavors! This shrimp looks soooo good!!! Tequila and shrimp sounds like such a good idea! The kebabs look fantastic, but the grill even more! Love it – have never tried Coyote for grilling. Happy 4th of July to you and your family, Brenda!